I think Andy McCabe has done stuff that earns him some time in prison. 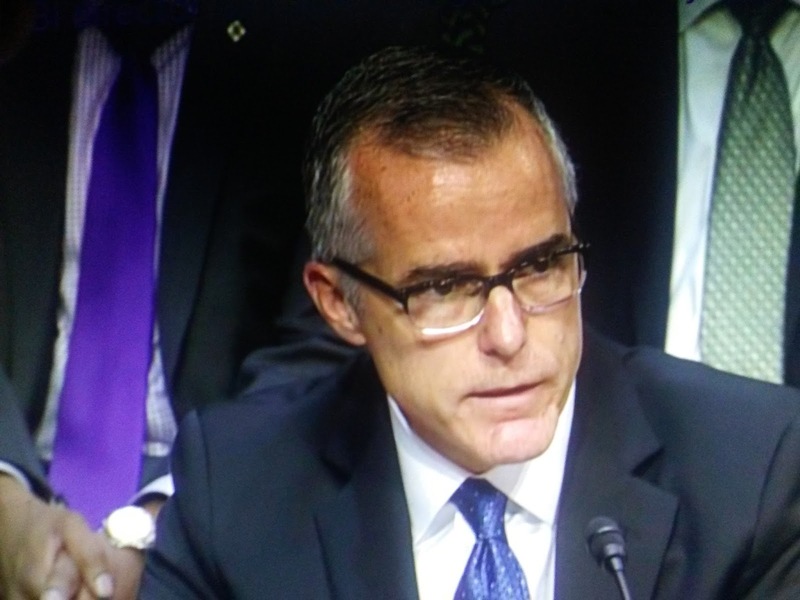 Free Beacon reports even though FBI Deputy Director Andrew McCabe was fired last Friday, it is an open question as to whether the FBI will release text messages he exchanged on government-issued or personal phones or try to shield them from public scrutiny. Judicial Watch, a conservative watchdog organization, has spent months pursuing a Freedom of Information Act lawsuit demanding the release of texts McCabe exchanged with colleagues. The FBI has so far refused to comply with a court order to produce the texts, handing over emails and other information to Judicial Watch but legally demurring on whether it even has access to the electronic messages, Judicial Watch president Tom Fitton said in an interview.